You feel a draft – Windows should form an airtight seal when fully closed. Otherwise, regulated air from inside will seep out and outdoor air will get in. This disrupts indoor temperature, pushing your HVAC to work harder to achieve ideal levels and keep you comfortable. Difficulty in operation – You shouldn’t have any trouble opening or closing windows. 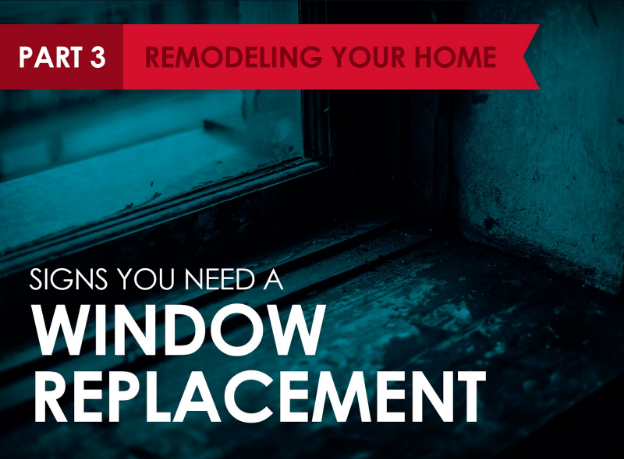 Unfortunately, window usage can become difficult over time due to a variety of factors. Aside from inconvenience, difficult operation may also mean an inability to fully close a window, which can drastically reduce a home’s energy efficiency. Condensation on surface – Normally, the only time there should be water droplets on your windows is when it’s raining or snowing outside, and that’s only on the outer side of the glass. If you see water droplets forming within glass panes, it means your window’s seal has broken, so it’s no longer insulating as it should. Too much noise – If you don’t see visible damage to a window’s seal, you’ll still know that a window is no longer airtight if you’re hearing too much noise from the outside even when your windows are closed. Air leakage is a problem because it lets indoor air out and outdoor air in, messing up temperature stability indoors. When looking for a window replacement, don’t hesitate to go beyond the popular choices. There are a lot of options available to you and getting to know all your choices will help you zero in on the best window replacement for you and your home. Home remodeling is a serious undertaking but it can make living in your home more rewarding. Aside from knowing the best time to carry out a certain home improvement project, working with a reputable contractor will help keep remodeling your home as stress-free as possible.